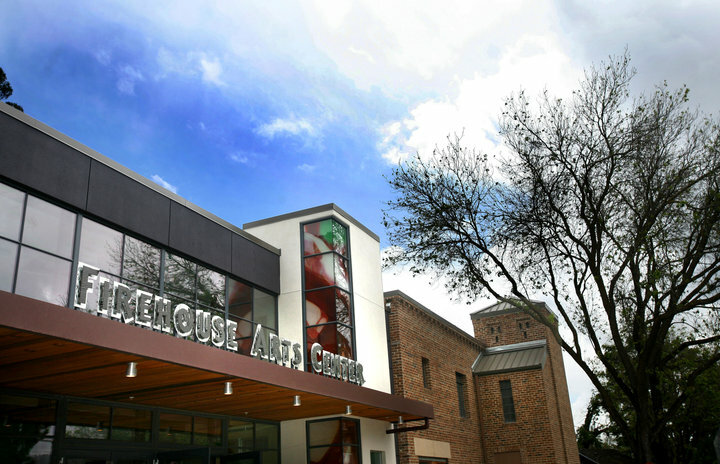 The state-of-the-art Amador Theater at the Firehouse Arts Center makes every performance unforgettable. In addition to the Amador, the Firehouse Arts Center also houses a fine arts gallery, classroom space for many hands-on programs, and an incredible hourglass shaped lobby. The lobby actually links downtown Pleasanton and the Firehouse’s Parkside Patio and Lions Wayside Park. The facility’s unique design is the perfect blend of old and new. The Firehouse is a reused historical building, and it’s been preserved according to the guidelines set out by the National Park Service. What does that mean? Well, you’ll see an amazing structure with modern sensibilities tied to historic builds. This heartwarming holiday show mixes the spirit of Christmas with New Orleans soul. You’ll hear lively arrangements of seasonal favorites led by jazz trumpeter and Pleasanton native Jeff Bordes. A number of special guests and holiday favorites make this a truly unique Christmastime experience. The 24th Annual Big Fat Year-End Kiss-Off Comedy Show will laugh away the year of 2016 with stand-up, improvisation and loosely written sketches guaranteed to mock, scoff and taunt with taste. Starring political satirist Will Durst, Debi Durst, Michael Bossier, Johnny Steele, Mari Magaloni and Arthur Gaus. Note, this will be a PG-13 show. Fans of The King will have a blast at this performance on his 82nd birthday. Jim Anderson & the Rebels perform favorites from Heartbreak Hotel to Jailhouse Rock. The S. S. American is sailing between New York and England with a comically colorful assemblage of passengers: Reno Sweeney, Billy Crocker, Hope Harcourt and a second-rate con man named Moonface Martin. In this classic broadway show, you’ll enjoy song, dance, and farcical antics. Cole Porter songs include: It’s De-Lovely, Friendship, I Get A Kick Out Of You, All Through The Night, Anything Goes, You’re The Top, and Blow, Gabriel, Blow. Come stay with us at The Purple Orchid in the heart of the beautiful Livermore Valley. Our free Livermore vacation guide can help you plan your stay, and our relaxing spa services will add indulgence to your getaway.